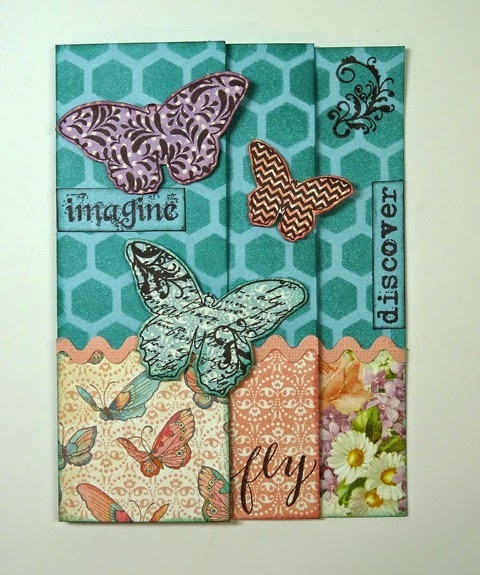 This week, we have some wonderful creations to share with you from a guest designer, Annette Green. 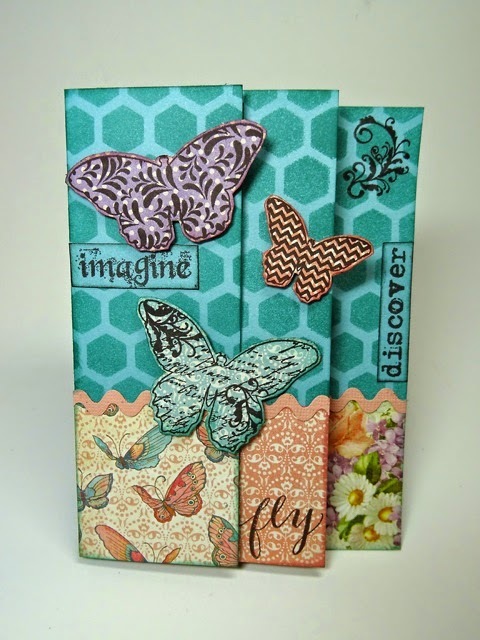 Annette's 1st project features the Hampton Art Vintologie Stamps and Stencils. 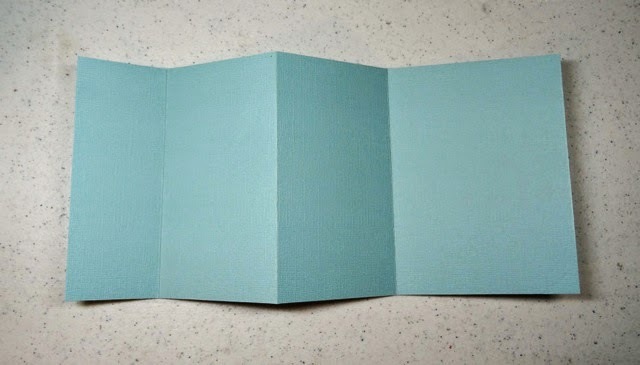 Cut light blue card stock 5 1/2” x 12” and score at 2”, 5”, & 8” then fold accordion style. 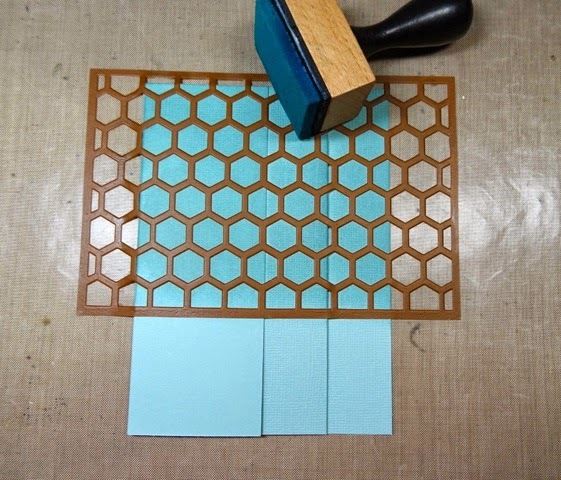 Lay stencil down and swirl a medium blue ink over the folded card. 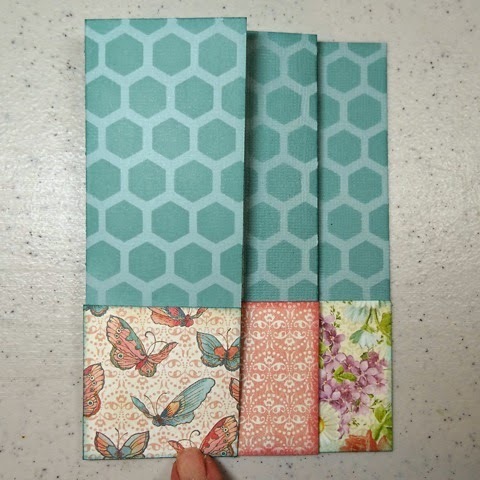 Add pattern papers to each folded panel, as desired. 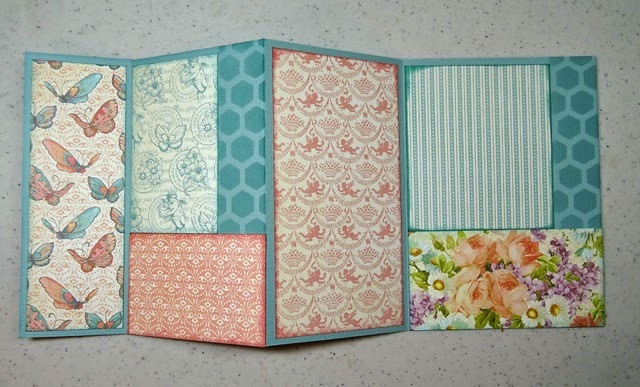 Add more pattern papers to inside panels. 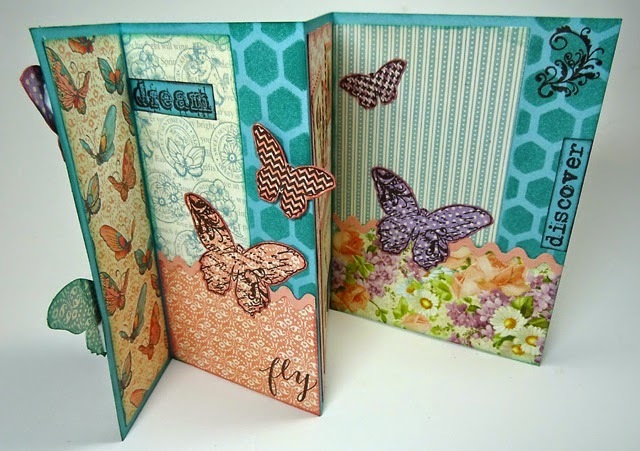 Stamp butterflies and words then cut out and adhere to card. Die cut rick-rack from cardstock or use actual ribbon and add to card as embellishment. For more of Annette's work, check out her blog: http://annettescreativejourney.blogspot.com. Wonderful! I think I may have to make this one! I love the butterflies! Fabulous card! Thanks for the dimensions and tutorial. cute....love how the butterflies seem to hover over the card. love the colors. Love the fold! Great step by step. You always do such creative work! Beautiful card! Love the butterflies and the little tutorial. Annette Green is a wonderful designer! Very cool! Great instructions! Thanks, Annete. 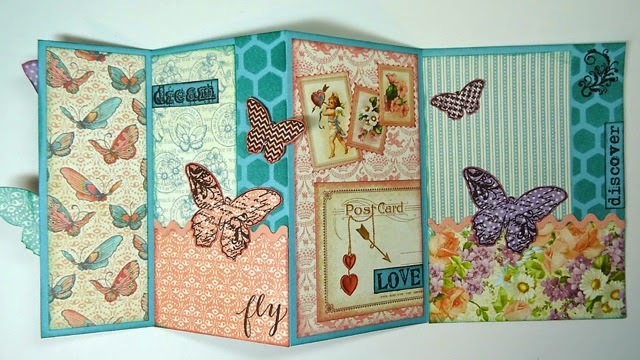 Gorgeous card and great tutorial!